Keep Calm and Relax with the Calming Stone | OhGizmo! When things are out of control and the familiar feelings of panic and anxiety begin to well up, reach for your Calming Stone and tell yourself that things will pass. The stone was created by designer Ramon Telfer as an anxiety-relieving tool for those who experience panic attacks. The Calming Stone allows the user to make use of multiple techniques to keep his anxiety in check. 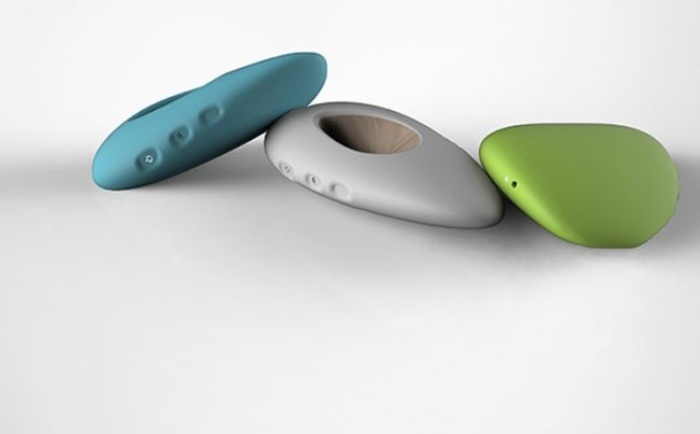 For one, the device releases cool air onto the user to encourage calmer breathing. Lavender capsules can be used as it’s a calming scent. The stone features an easy-to-use control panel and a built-in light so it can be used in the dark. 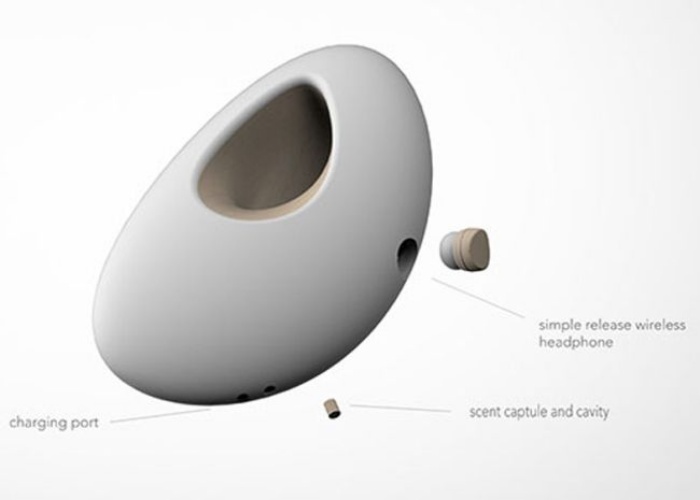 It also has a wireless, in-ear headphone to guide the user through a series of meditations. The Calming Stone is in the prototype stage of development. Telfer is currently looking for investments to help turn it into a reality.